Fore, golf balls are flying! Golf, it’s one of the hottest sports in today’s society. The Pearl Golf Links, located in beautiful Calabash, NC knows all to well about the best clubs, apparel & balls that all golfers need for a killer game on the links. Are you looking for golf balls that give you an awesome edge? Take a look at the top golf balls for 2017 that will provide excellent play. Titleist Pro V1. This brand of ball is the most popular golf ball in the world, hands down! They been in the market a very long time and have proven to be the best. The Pro V1 is geared more toward advanced players and is built to shape shots and have less spin that its predecessor. Taylormade TP5x. This ball is a step up from the Taylormade TP5. The TP5x provides players with tighter feel and longer flight. The TP5x is a more of a distance ball compared to the TP5. The main difference between these two balls is the spin. Titleist Pro V1x. This ball is back again in the list, but it is different from the Pro V1. This ball launches a little higher and has even more spin than the Pro V1, designed for even more advanced players. The ball is dual core, which provides the distance players are looking for. Callaway Chrome Soft. This ball is designed to be played by an assortment of players, no matter the skill. The ball is articulated for a slower and less accurate swing. The price is also a little more affordable at $35 dollars a dozen. This ball is an excellent choice for any golfer who wants to try out different balls to see what they like the best. Srixon Z-Star. This ball is the best budget wise for a premium golf ball. The Srixon Z-Start is designed for players who do single digit shooting. This is a three piece golf ball that may produce less spin, but it goes long off of the tee. If you’re looking for a ball that won’t cost tons of money, this is a good option. Vice Pro. The Vice Pro is fairly new on the market, but has proven to be a worthy competitor amongst the golf ball manufacturers. These balls are cheaper than Titleist and close to the Srixon brand. The Vice Pro offers great distance and excellent spin with an outer layer that repairs itself after being scuffed. This company has cut out the middle man, sells its balls in bulk & in turn makes it cheaper for the consumer. Bridgestone B330-S. 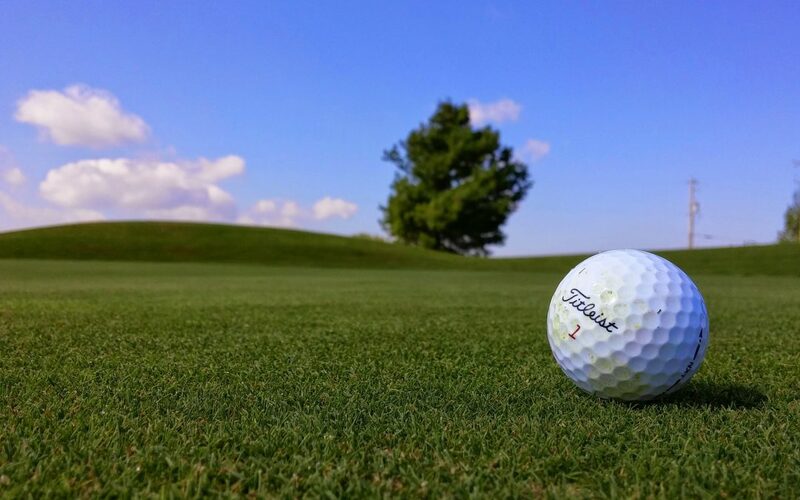 The Bridgestone brand is not only known for tires, it has made quite the splash in the golf industry in the past few years. Professionals are choosing this ball due to its performance, durability and characteristics that make it a darn good ball. This ball has right off of the tee has great perfection of balance and spin. Come in and check out the golf shop at The Pearl golf links, we carry the best the golf industry has to offer. See you on the greens!